I made the first of these stockings more than a decade ago, and how our little collection of stockings has grown over the years! I made the first ones when our oldest was born, and back then, it was just Steve, me, baby K, and our old dog Cooper. Over the years, I added extended family for the Christmases we hosted, two more babies, and now, I am very excited to add the stockings for my twin nieces! 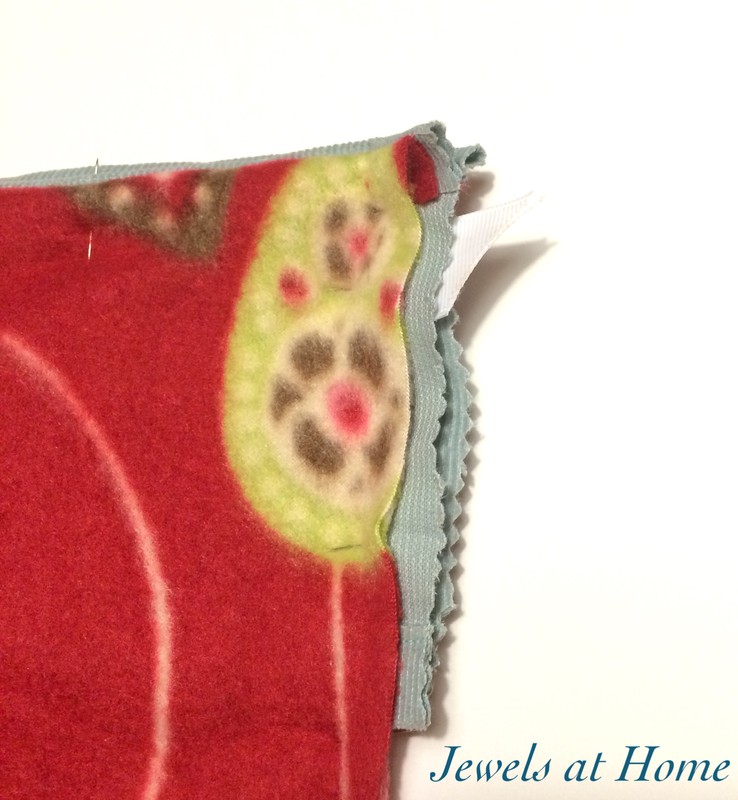 Use the template to cut out two pieces of fleece. With the right sides together, sew around the sides and bottom of the stocking, leaving about 7″ open at the back top. Clip the seam allowance around the curves. Cut a cuff that is about 6.5″ tall and 10″ wide. Hem the cuff. Sew the cuff to the top of the stocking, with the right side of the cuff facing the wrong side of the stocking, as shown. Flip the cuff over as shown. I found it helped to pin it in place for the next step. 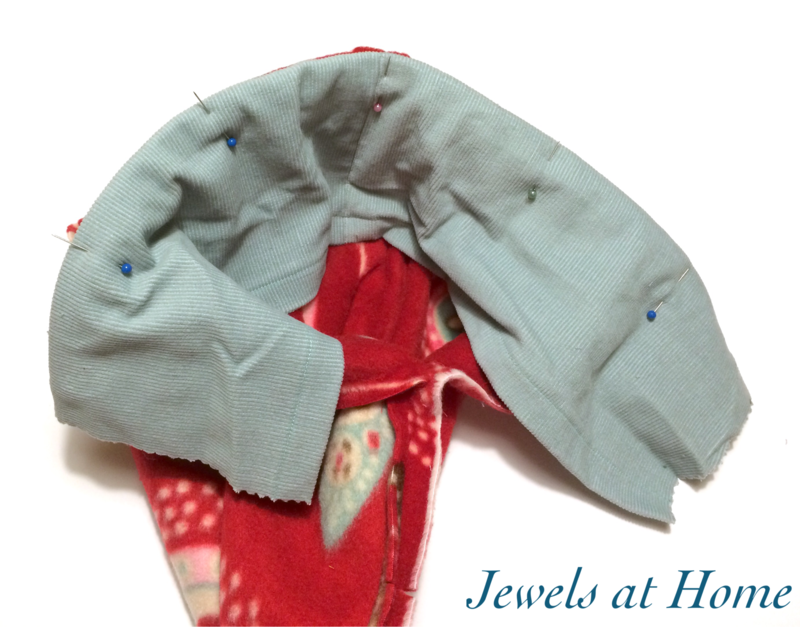 Line up the edge of the cuff and the stocking and slip your ribbon in, too, with the ends tucked into where you’ll see. Now sew up the last 7″ of the back of the stocking, sewing through the stocking, cuff, and ribbon. Flip your stocking right side out and iron on the letters!